Our camera is broken! 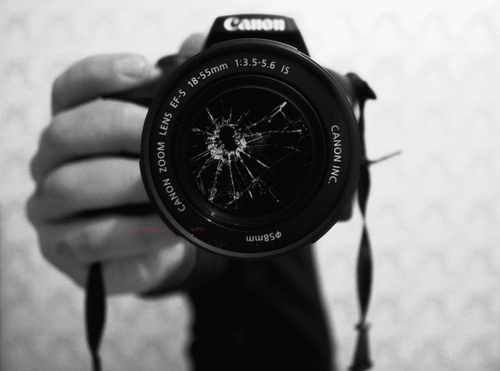 Nothing obvious is broken, like the lens, but maybe that is even worse. When I turn it on it just flashes 'shutter error'. We have absolutely no money in our meagre budget for a new camera, so I really hope we can figure it out by ourselves. We had a lovely Sunday, minus the broken camera. This morning the dude slept in till an unprecedented 9:30!!! (He woke up as usual at 6:30, but I fed him quickly and put him back in his crib where he stayed until 9:30!) After a breakfast of left-over cinnamon buns and strawberries, we headed out for a walk with the 2 dogs. It was beautiful outside and we headed to the playground, where Soren played nicely in the sandbox and the dogs lay by the stroller. This afternoon we dropped Soren off at his aunt Amanda's, and then Tyler and I went to my cousins dance recital. The little 3-year olds in their pink tutus and baby ballet buns make me want to have a little girl sooo much!! I kind of feel like I will only have boys, though. Tyler has 5 brothers (and one sister), so I feel like the male genes are running strong. I will hold out hope that I can one day fill a closet with pink dresses, hairbands, and frilly tights! Oh no!!! Sorry about your camera! At least the little dude slept in!! ;) That's always a plus!! Oh no! Bummer!! I hope you can figure out what's wrong!